This week Katrine and Gregor have been to the Rising Stars Football Academy Summer Camp, which ran from 10am till 3pm all week (there is another camp in August as well, but we will have left by then). 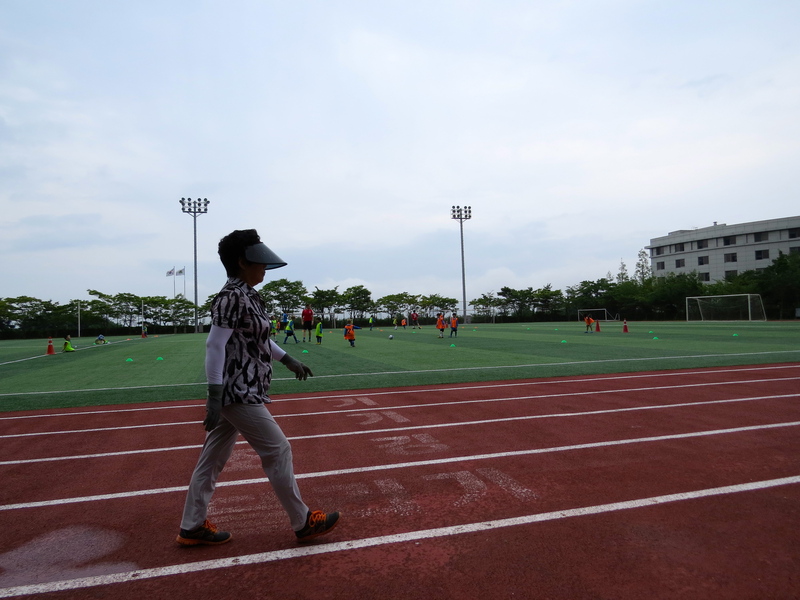 I was a bit concerned that dropping them straight into 5 hours of football when jet-lagged would be a too much but they have had a brilliant time all week, never once moaning that they were tired and didn’t want to go. I got some good photos, unfortunately the day they had their “world cup” I forgot my camera so had to use my phone, so the photos are a bit grainy. It was a very close and exciting match, and with a player in both teams I was guaranteed a win! 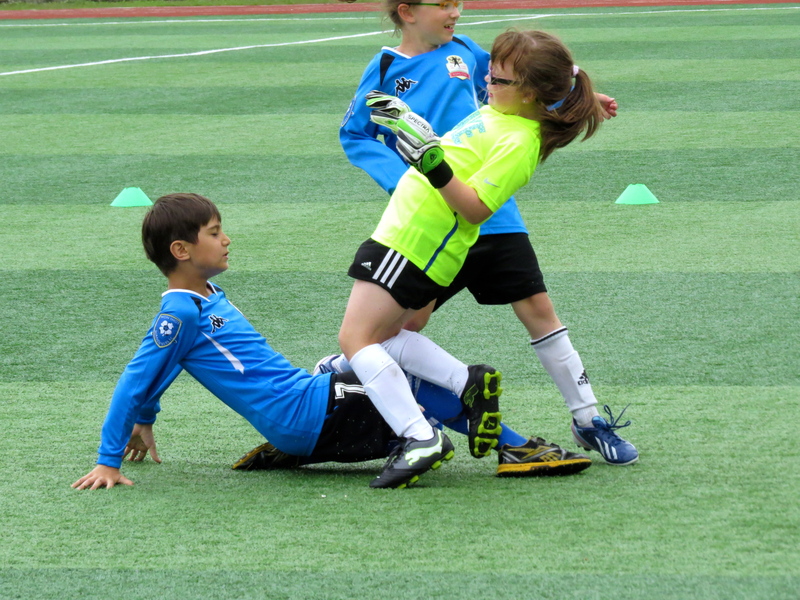 Katrine and Gregor’s teams both made it to the “World Cup” final. 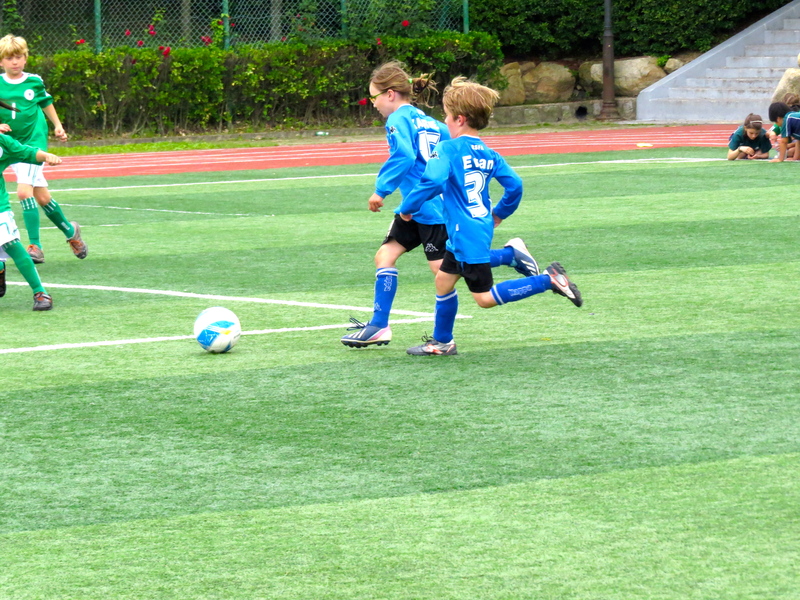 Katrine was playing for Norway and Gregor for Scotland. Nice to be able to get photos of them playing together. 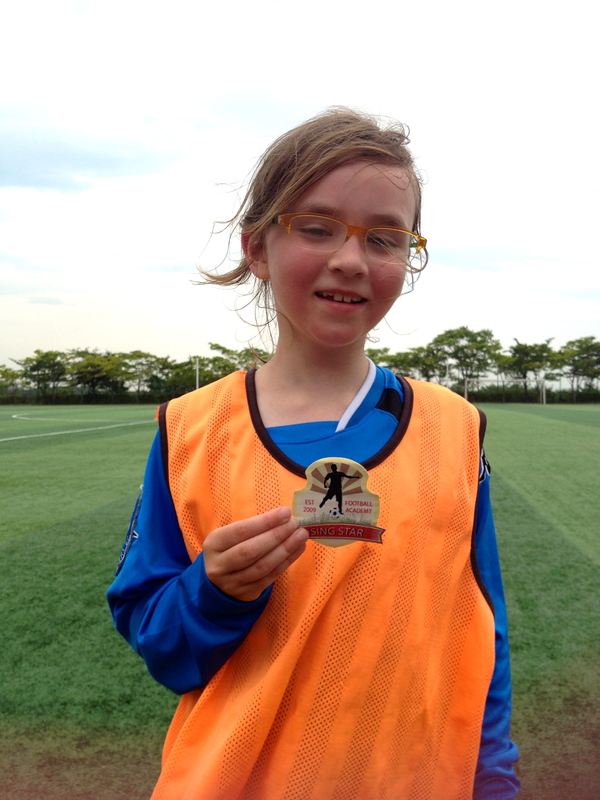 Katrine as team captain got a player of the day award. 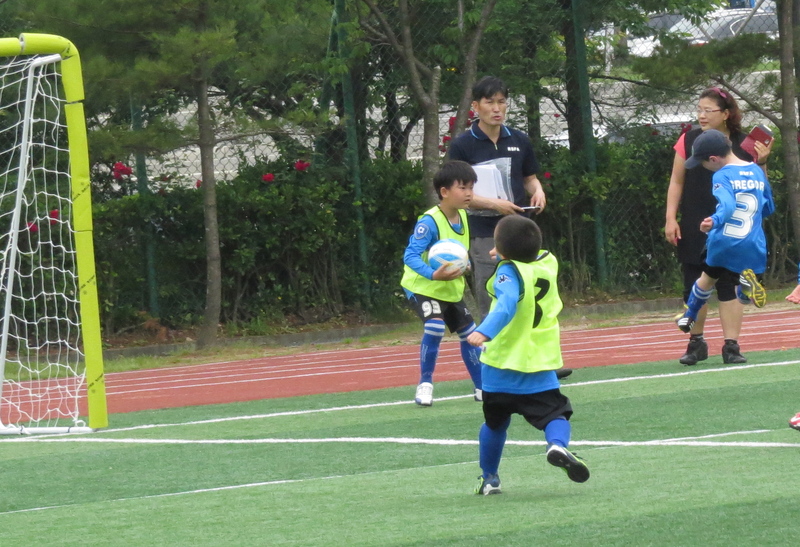 The last day was penalties, this one was a Canadian (?) style one where the attacker had to dodge 2 defenders. Walking woman, she just went round and round. A very common sight here. Not quite sure what happened here! 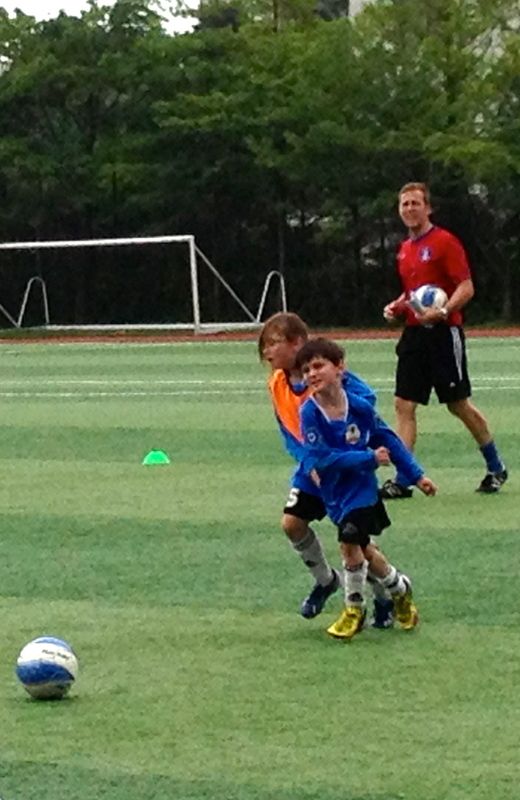 Got to keep the ball in the line – he succeeded! Prize giving, every one got a named team photo. 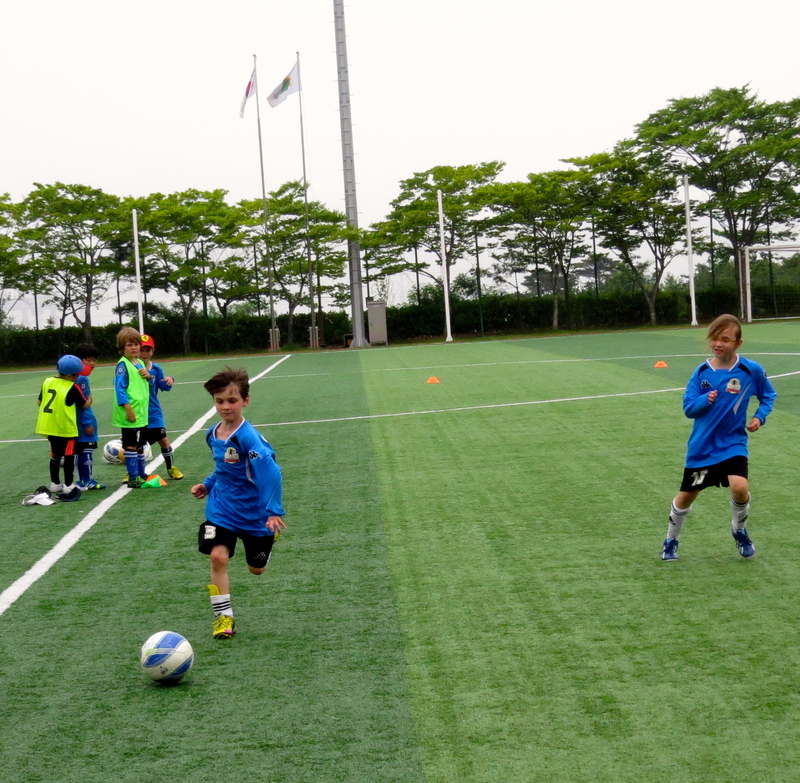 Team de-breifing with the Hyundai Tigers (one of the best teams in Asia) practising in the background. Katrine also got the prize for Best Attitude, a Holland top, which she is very proud of. Got to have photos of both of them! Hyundai Tigers warming up, very strange to be sharing a pitch with these guys! 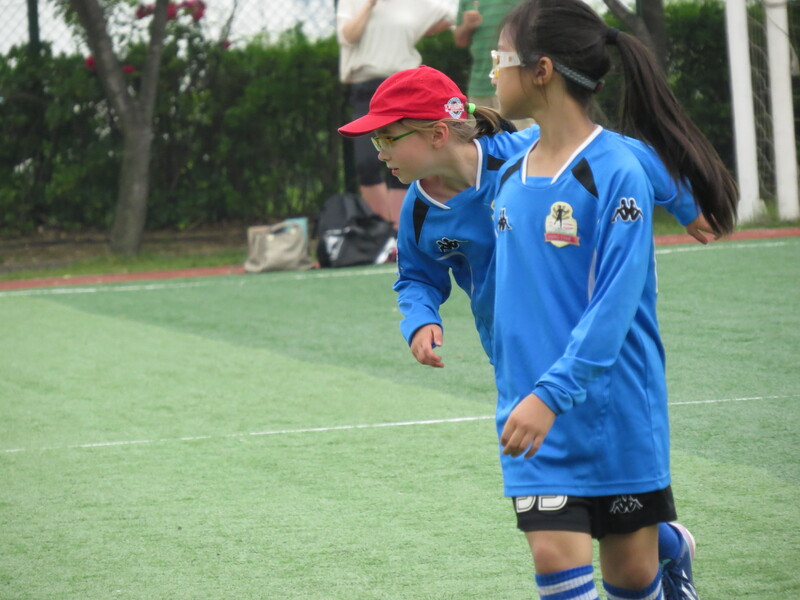 It was quite sad at the end of the week as they have made some brilliant friends in Ulsan, some of which we probably won’t see again so this Friday was another round of goodbyes. 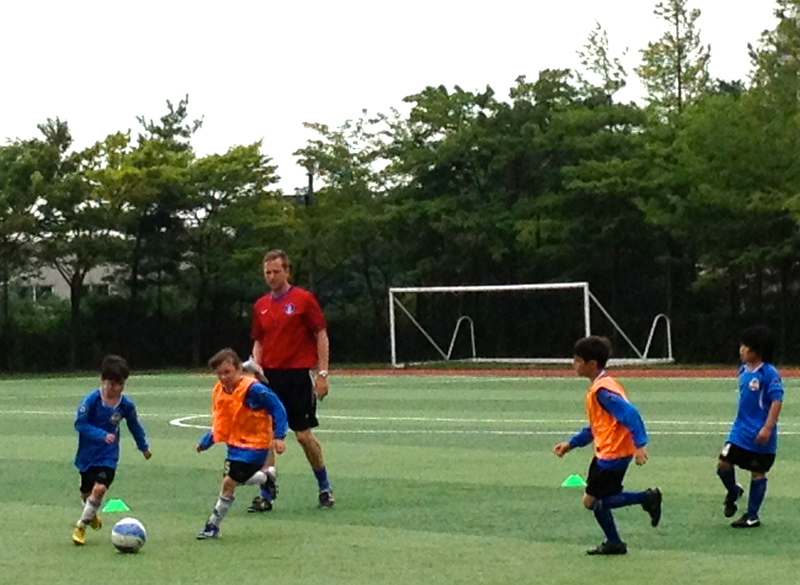 So goodbye Rising Stars and thank you for giving my children a wonderful enthusiasm and enjoyment for playing football. Football mum just doesn’t have quite the same ring! 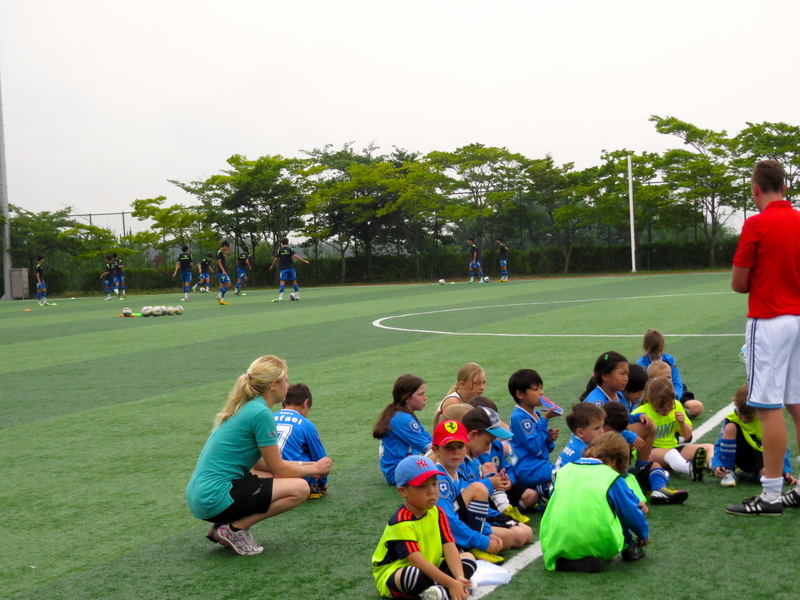 Katrine and Gregor attend the Rising Stars Football Academy on a Saturday afternoon and this week there was a big football tournament – the Ulsan Junior Cup, which had teams from Daegu International School, Hyundai Foreign School, Busan Foreign School and Okpo International School. Gregor was in the 8s and under while Katrine got pulled up to the 10s and under. 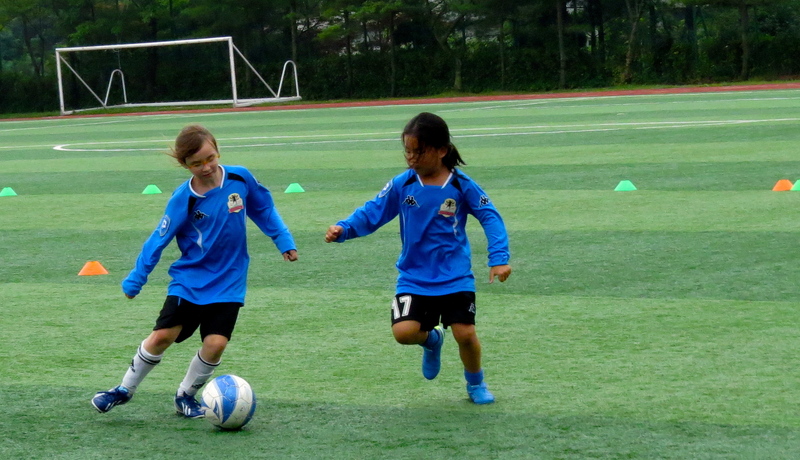 It was their first time playing together as a team, as there are different practise times during the week. 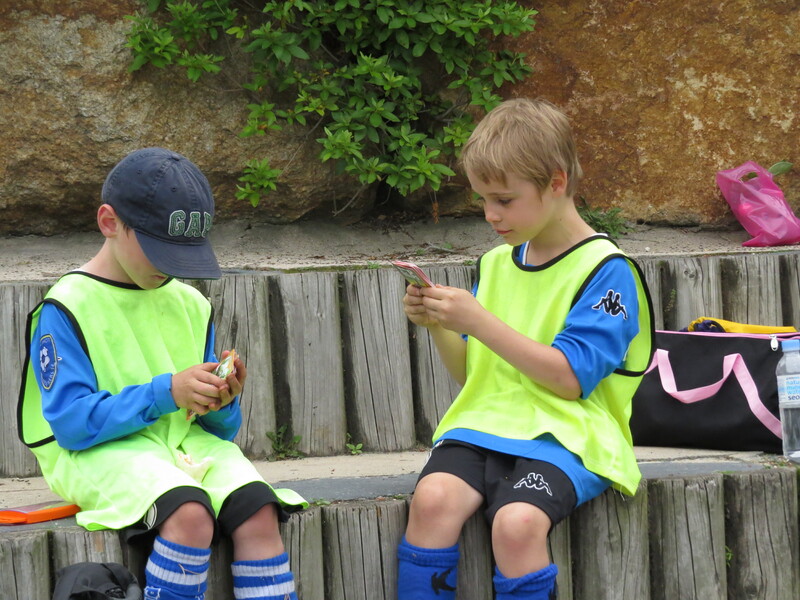 But they got better and better as they got more used to playing together. 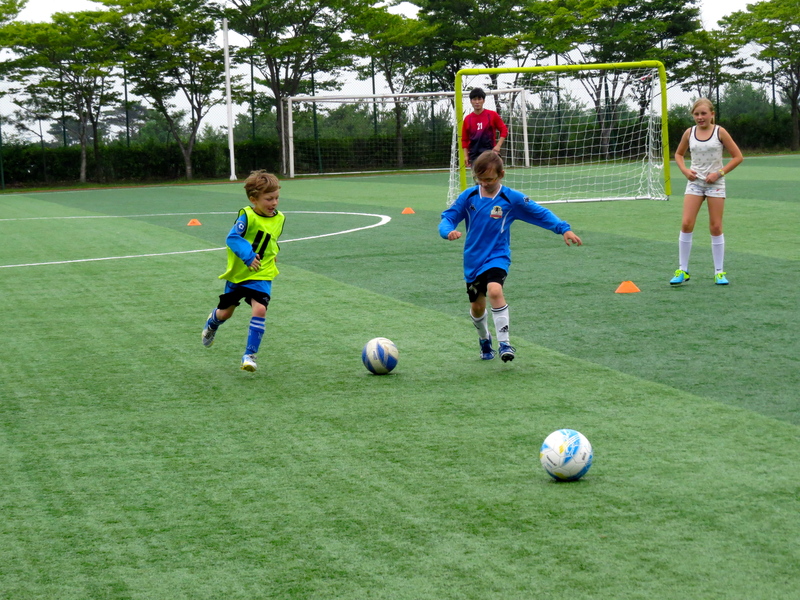 Katrine preferred being up front as striker while Gregor loves being in defence. 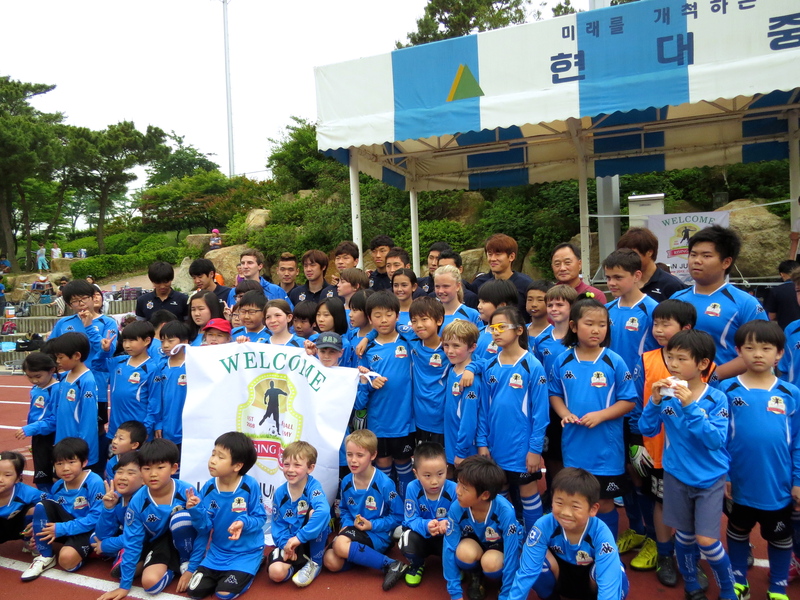 As an unexpected but very, very cool surprise the Ulsan Hyundai FC – the Hyundai Tigers – turned up! For those not familiar with the team, it would be the equivalent of Manchester United turning up unannounced. They are the current winners of the Asian Football Confederate Champions League. Obviously we got photos! The players also signed some balls for all the teams to take home. Some action photos from the day, check out the height on Gregor’s jump when celebrating a saved goal. 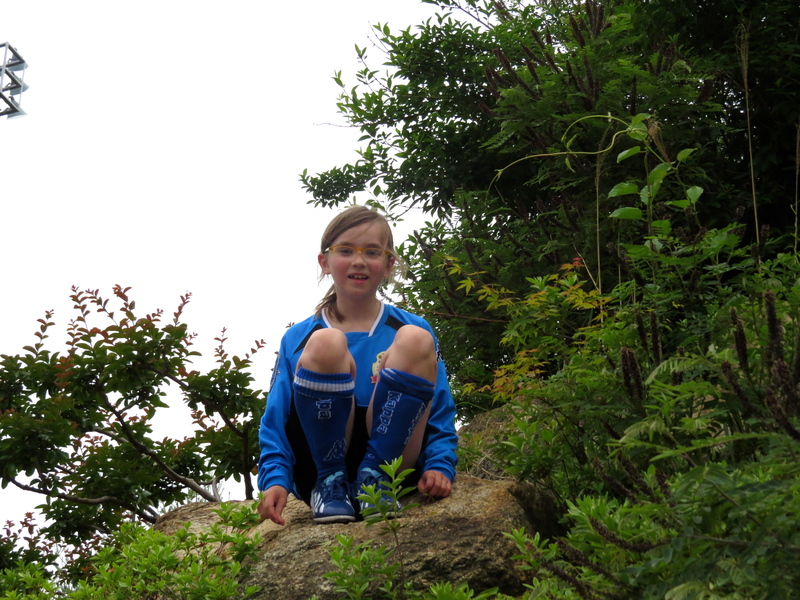 Chill out time between matches, climbing over the rocks and playing top trumps. There were 8 teams in the 10s and under category so they were spilt int to two groups. 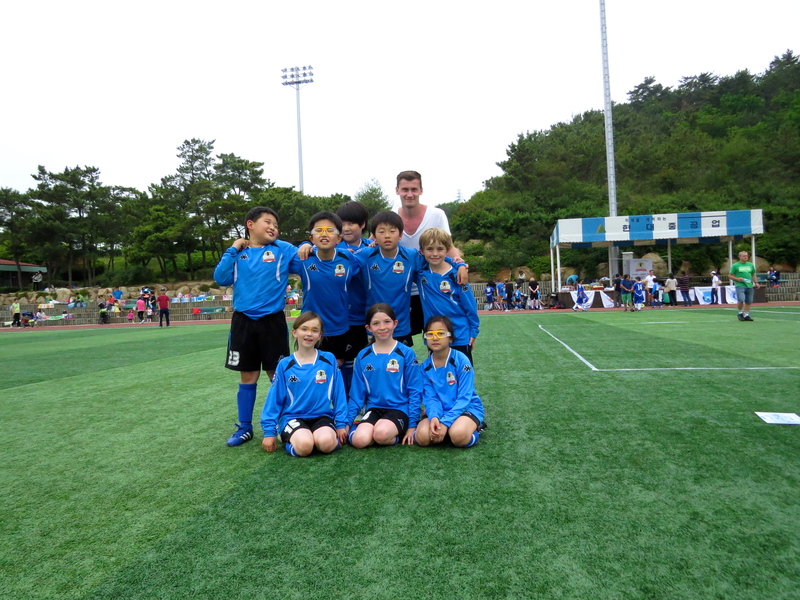 The top two teams from each group went on to compete for the cup, whilst those coming 3rd and 4th competed for the Ulsan plate. 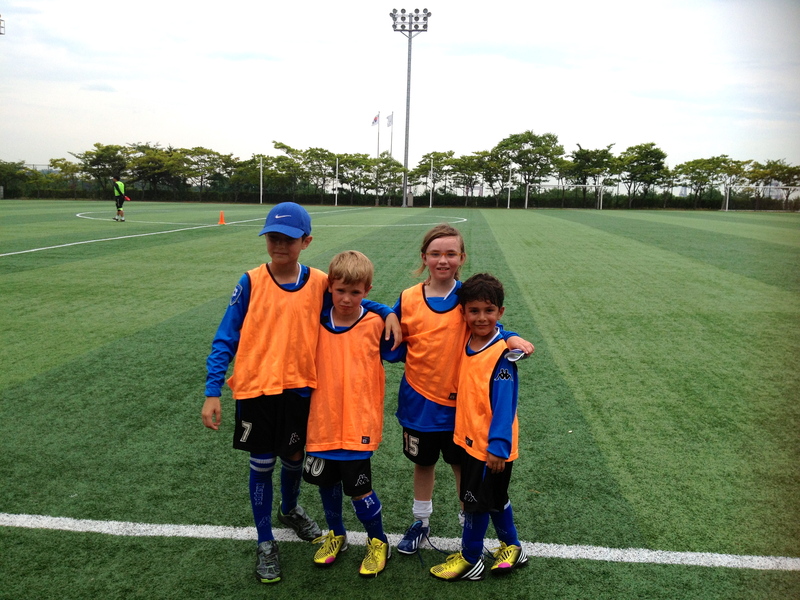 Katrine’s team was in this second tier and after winning a nail biting match on penalties, made it to the final. Which they won 1-0 after a last minute goal, they really did pull it together as a team for the final matches. 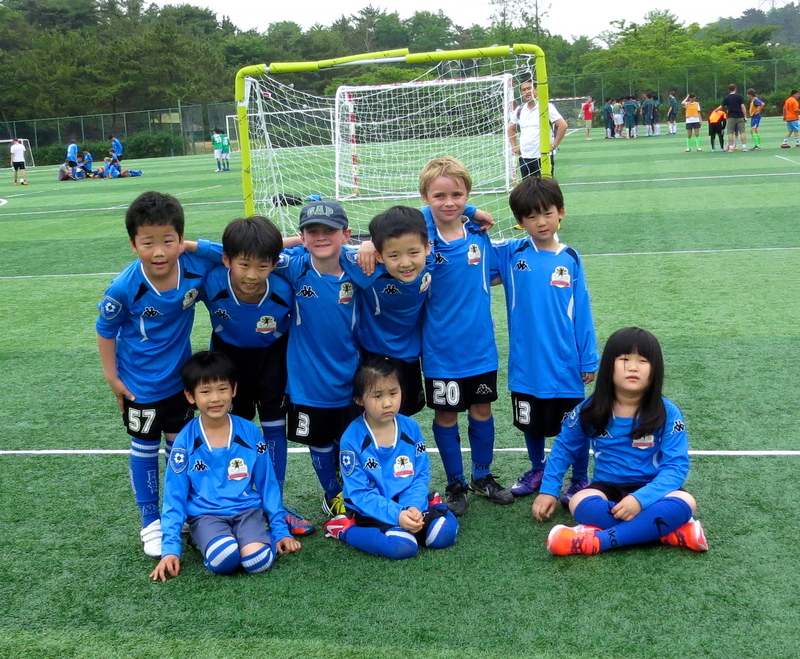 There were 6 teams under 8s – 3 of which were from Rising Stars! They did incredibly well getting all the way to the finals. 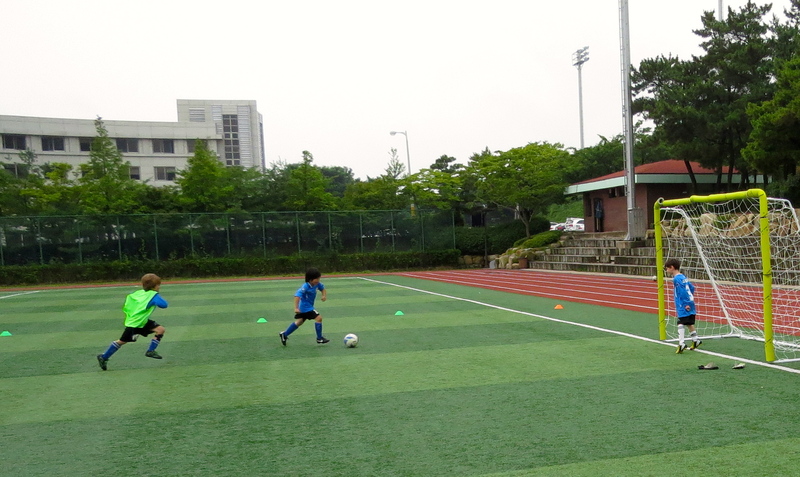 They then played Daegu International School for the second time, and again at full time the score was 0-0. On to penalties, after 5 shots, with the score still tied at 1-1, it went onto sudden death. After a further 8 shots with no goals it was decided to pull the spot a bit closer. Finally a goal! 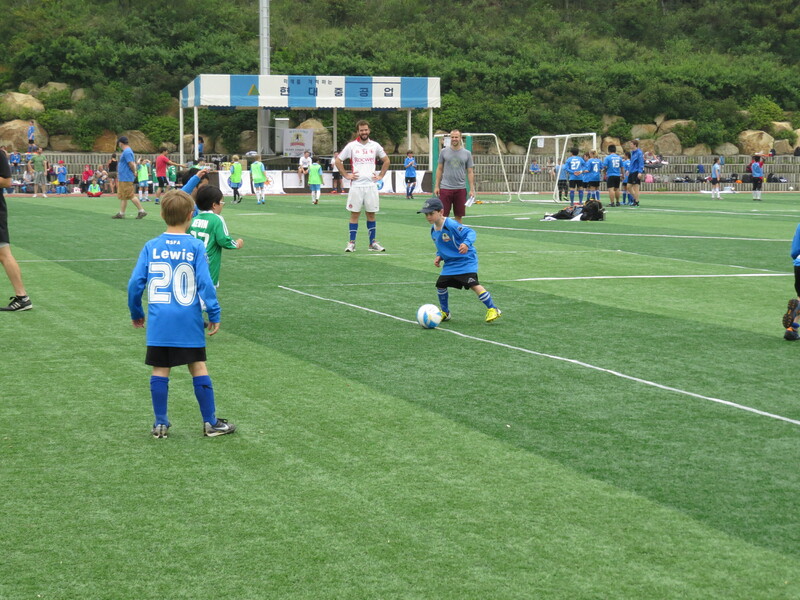 Daegu International School scored the winning penalty. 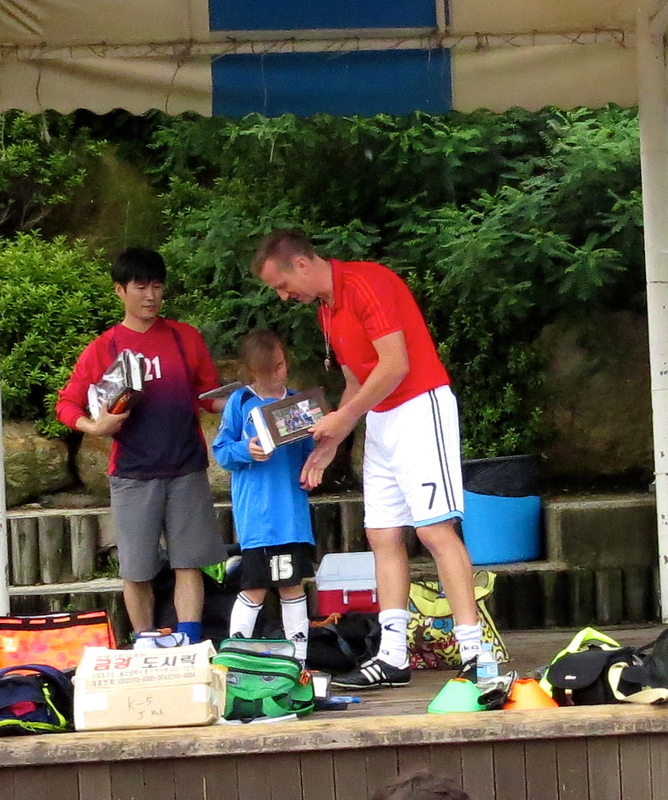 After the trophies were handed out the coaches got to award two prizes for their team – Most Valued Player and Best Defender. 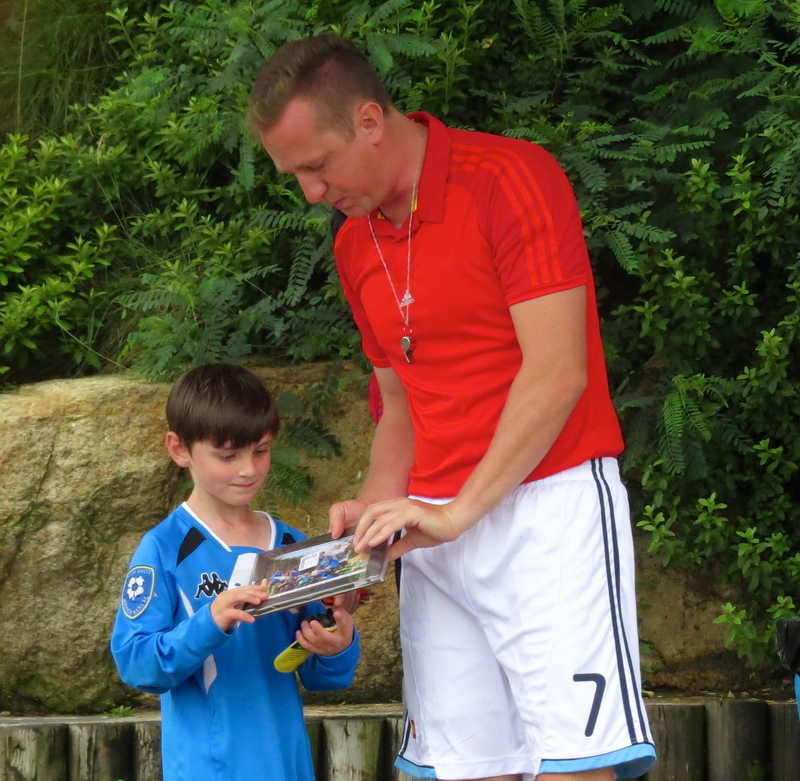 The MVP went to Doyle, the goal keeper – he saved 13 penalties in the final alone! And Gregor got the Best Defender mug. 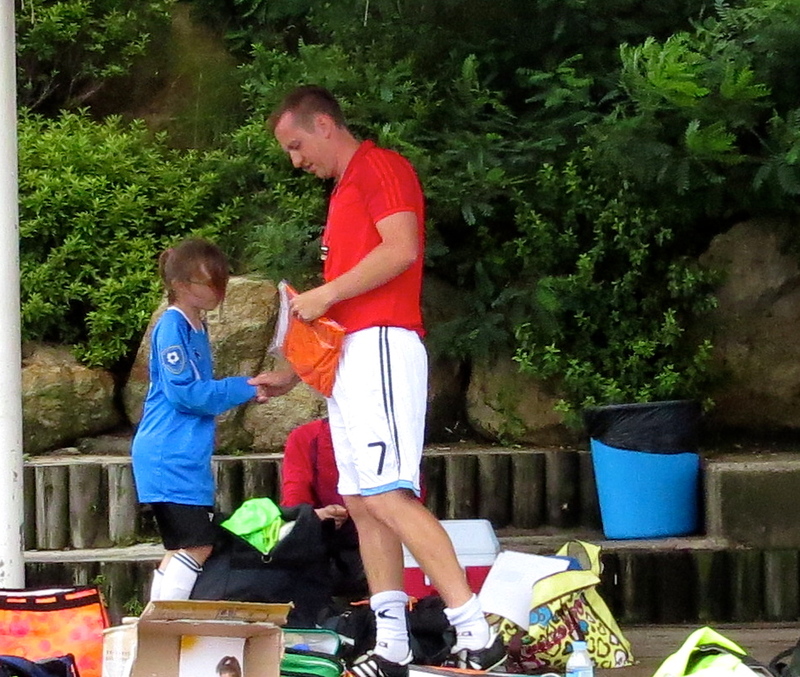 We had a brilliant day, first of many football tournaments, I guess.